Escea is an award winning innovator in double sided gas fires. Our fires provide heat, innovation, control, flexibility and most of all a stunning centre piece for any home or living space. 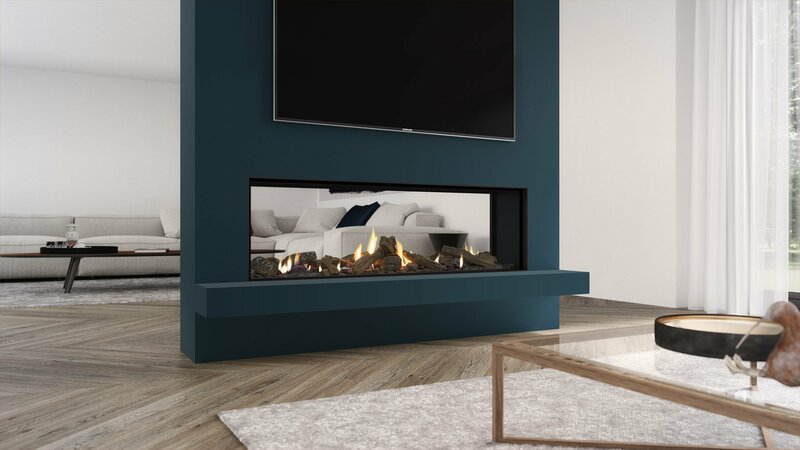 Escea’s DS Series fireplaces can be single or double sided. A see-through, double sided fire option makes for a dramatic partition and is a great way to connect two spaces. You can choose to add reflective panels to the side walls of the fire box. The panels’ mirror-like surface reflects the flame and the fuel bed, making the fire appear larger. TVs and fireplaces just go together. And this fireplace has a reduced TV clearance minimum of 200mm above the top of the firebox, for your screen viewing pleasure. Escea Smart Heat connects your fire to your home network and gives you control of your fireplace from your smartphone. Whether you’re driving home from work on a cold winter’s night, or just relaxing on the couch…the perfect temperature is only a swipe away. Escea's unique Smart Heat control system achieves optimal operation for a more efficient burn. 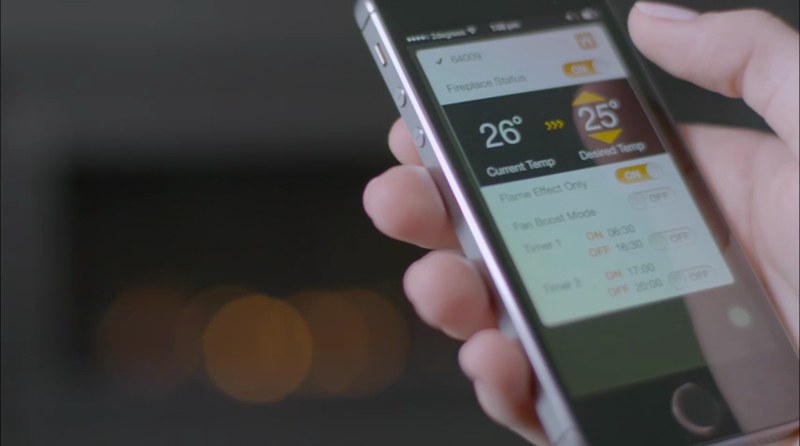 Control your gas fireplace with your smartphone or remote, for the perfect temperature all the time. Our flues can be run in any direction including underfloor. 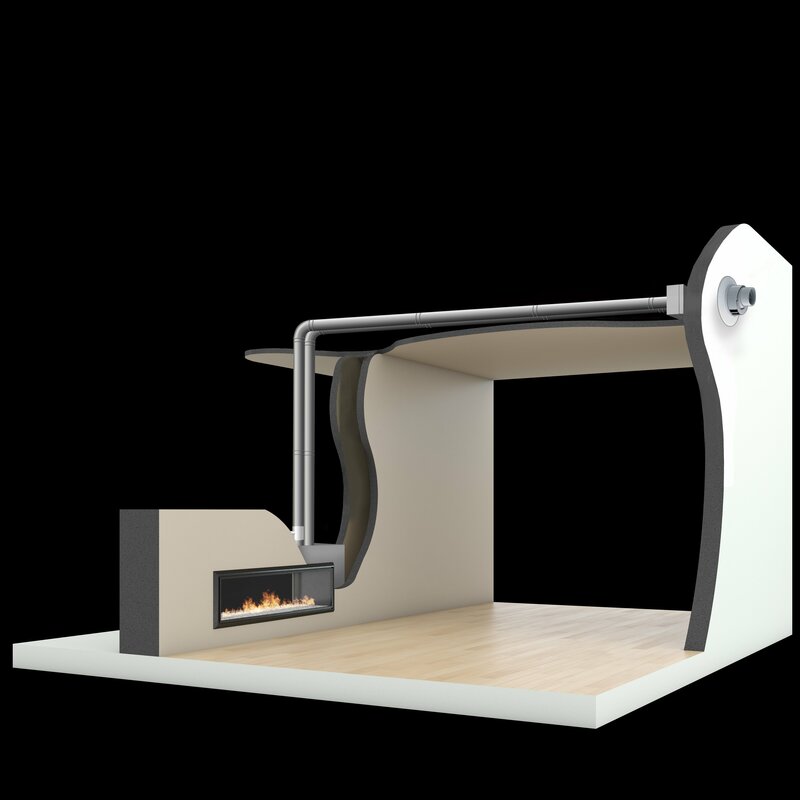 Create a gas fireplace island if you so desire - the choice is yours. The DX Series Double Sided combines ultra-wide flame action with Escea’s Heat Ducting Technology, which provides heat into several rooms and evenly distributes heat within the same room. 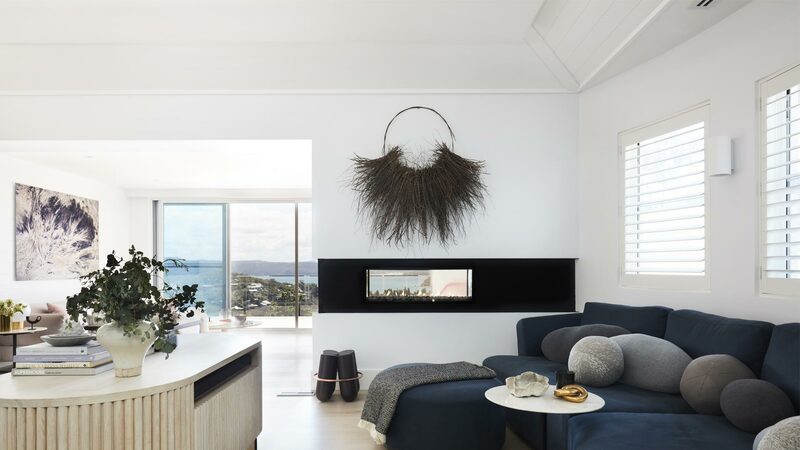 At 1m or 1.5m wide this see-through fire can add its magic to two rooms or form a double sided island to create more intimate spaces in a large open plan space. The DS Series has taken away everything you don’t need for a minimalist look that focuses on the flame. These fires are truly frameless – where the wall ends the glass begins. 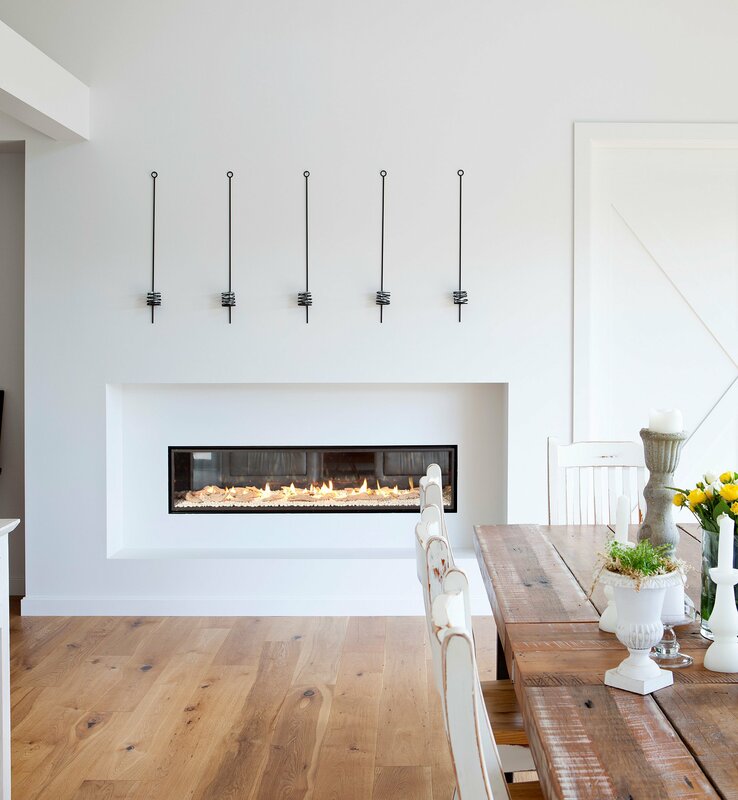 This double sided fire is the focal point of all living areas and the heating source that consistently inspires.